Nauticam is pleased to announce the NA-RX100 and NA-RX100V housings for the groundbreaking new Sony DSC RX100 compact digital camera. Nauticam continues to bring professional quality engineering to those who enjoy the attributes of state of the art compact imaging systems. The NA-RX100 should prove to be the housing of choice for demanding enthusiasts who want to capitalize on everything this exciting new camera has to offer in a user friendly package that anyone can master. Backscatter Best Underwater Compact Cameras 2012 - Sony RX100 from Backscatter on Vimeo. How to Assemble an Underwater Camera System - Aluminum Compact from Backscatter on Vimeo. Few cameras have been as universally applauded as the recently introduced Sony RX100. The specs alone put this little powerhouse solidly on top of the pocketable compact camera world. The 1 20.9 MP CMOS Sensor is considerably larger than other cameras in its class. The camera also boasts Optical Steady Shot image stabilization for stills and video, ISO expandable to 80-25600, 10 FPS, 25 point AF, 1080 60P video and lots of tweakable enthusiast controls. Resolution is only as good as the glass and the new Sony sports a very practical 28mm-100mm equivalent optical zoom lens carrying the legendary Zeiss appellation. Those familiar with the menu layout of the much vaunted NEX cameras will feel right at home with the RX100. Of particular interest is the programmable Fn button that works in conjunction with user assigned menu options to take advantage of the most often adjusted settings a first in this market segment. Image quality is by all accounts superb and generates an enormous Raw file. A 17MP still photo can even be taken while shooting 1080 60P video. This is not a camera to skimp on the size of the SD card. This is also the first camera to use Sonys White Magic LCD technology which uses four dots for every pixel instead of three for the display. The magical result is a display that can offer twice the traditional brightness in very demanding conditions and much lower battery drain in normal use. The RX100 is brimming with technological tools and those who have a chance to play with the focus peaking option will appreciate its use. It is not hard to see why so many reviewers have raved about this new Sony. The New York Times declared the DSC RX100 the best pocket camera ever made and it would be hard to argue with that summation. Nauticam has set the standard for professional grade aluminum housings for the compact digital camera market segment. This experience and sophisticated design evolution is obvious from the moment the NA-RX100 is picked up. It is hard to imagine that a 21MP tour de force underwater rig can rest in the palm of one hand. 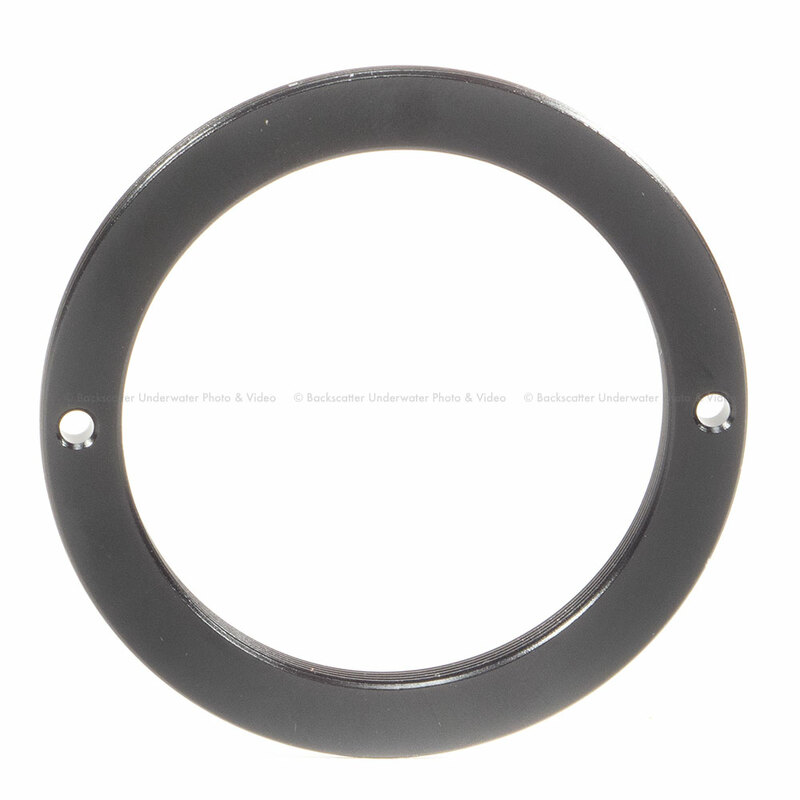 Many of the industry leading features found on previous Nauticam housings are clearly evident. The intuitive single rotating housing latch, rugged machined aluminum case and 100 meter depth rating are now well proven. A new rear mounted housing o-ring makes maintenance easier than ever and the patented two stage shutter release provides the best feel in the business. Nauticam is famous for its ergonomic innovation; these housings are often easier to control than the features on the camera body itself. The NA-RX100 is a perfect example of this with every button and control clearly labeled and easy to access even with gloves on. This housing is designed by photographers and engineers to capitalize on every ounce of potential from both camera and photographer alike. Front and Rear command dials are readily available to forefinger and thumb while never releasing grip. Manual aperture and shutter speed adjustment is a snap; as is white balance, ISO, drive modes, shooting modes and video recording. The RX-100 features a standard 67mm thread on the port positioned precisely for maximum wide-angle lens performance. Also unique in this market segment is the ability to manually focus the RX100 when desired through the front command dial. Macro shooters in particular should enjoy the manual focus with focus peaking option to dial in those subjects using a strong close up wet lens such as a +10 diopter. The use of Nauticams new 67mm Flip Lens Holder makes this type of macro work easier than ever. Wide-angle accessory lens compatibility is crucial for underwater photography, and RX100 when paired with Inon UWL-H100 28 M67 Type 2 is an excellent option. This system enables images with a wide 100 degree angle of view, sharp corners, and no vignetting! 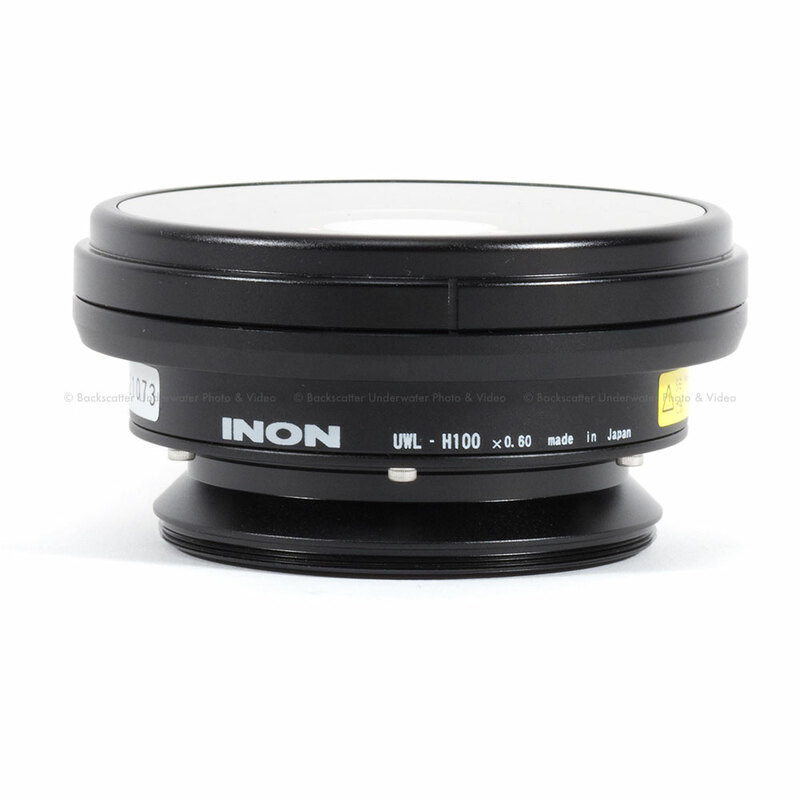 The system also benefits from Inons optional Dome Unit II, a 145 degree lens that focuses on the front of the lens for exceptional close focus wide-angle photography. If a serious underwater photographer wants maximum digital capability in the smallest package possible, the NA-RX100 is the clear choice for success. Nauticam is also announcing a special version of this housing, meant for the serious video shooter. The NA-RX100V housing allows an HDMI bulkhead so that the Nauticam NA-DP4 HDMI Monitor solution can be utilized. The SmallHD HDMI monitor inside the NA-DP4 takes video shooting to the next level. Utilizing DP4 features like Focus Peaking, Focus Assist, False Color, 1:1 Mapping and more, this larger monitor vastly improves composition, focus capability and exposure. Only the finest materials and cutting edge manufacturing processes are used to make Nauticam housings. The housing body is machined from solid aircraft grade aluminum, then hard anodized making it impervious to salt water and provides an impressive 100 meter depth rating. The large acrylic LCD window is treated with an anti-reflective, scratch resistant coating. The optional Nauticam Flexitray provides a lightweight, compact mounting solution for strobe arms and the NA-RX100 housing. Nauticam uses a sophisticated over-mold process to produce extremely comfortable rubberized ergonomic handgrips. The soft feel and ergonomic design make the housing easy to grip and minimize hand fatigue on long dives. Both single and double handle configurations are available for complete customization, and each handle can be adjusted laterally allowing the user to dial in perfect fit. A hand strap is also available for those wishing an even smaller profile. Reliable automatic flash exposure is available with Nauticam housings and a variety of optically fired flashes. Inon Z-240, D-2000, S-2000, Sea & Sea YS-110 Alpha, YS-01 and YS-D1strobes provide automated lighting, precisely reproducing the cameras onboard flash at a proportionally greater intensity. This system yields accurate TTL flash performance with no electrical sync cables to flood! The NA-RX100 comes fiber optic ready and accepts standard Sea & Sea style bushing connections. Strobes can be attached to the housing via optional strobe mounting balls on the handles or a single strobe mounting ball point on the housing. The housing also features a cold-shoe mount for even more mounting options.